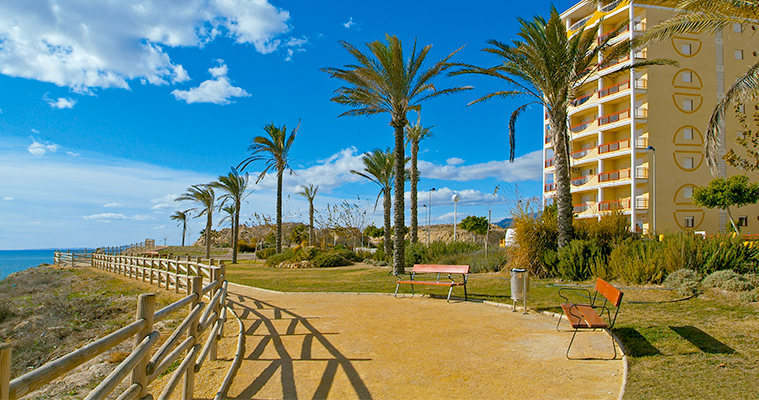 Just 10 kilometres away from each other, Benidorm and Villajoyosa are two Alicante towns characterized by a special microclimate of soft and temperate winters, and summers tempered by sea breezes, which allows visitors to enjoy nature, combined with the rise of modern and comfortable urban nucleus. We have all heard of Benidorm as one of the most important and popular tourist destinations of the Mediterranean thanks to its beaches and nightlife. It even reaches 400.000 inhabitants in summer. We have all heard Benidorm as one of the most important and popular tourist destinations around the Mediterranean with beaches and nightlife. He even reach 400,000 inhabitants in summer. 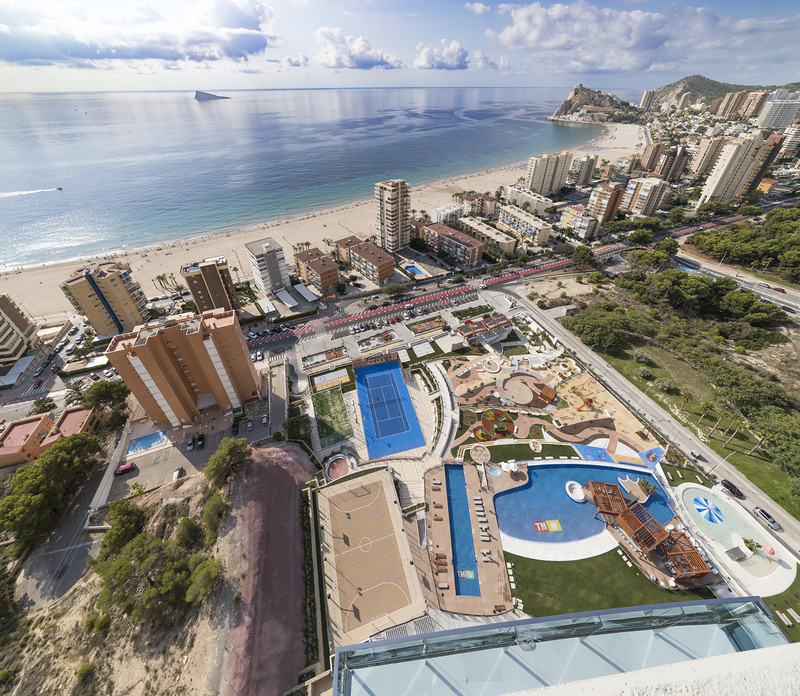 Benidorm is surrounded by mountains and has three beaches with Blue Flag, the highest distinction awarded by the European Union. These three beaches are: Levante, Poniente and Mal Pas, which the little creek Uncle Chimo joins. la Creu, which represents the completion of an evangelizing mission in 1962 that culminated with a cross on the top of the Serra Gelada; and of course the skyscrapers that have become so characteristic in Benidorm. 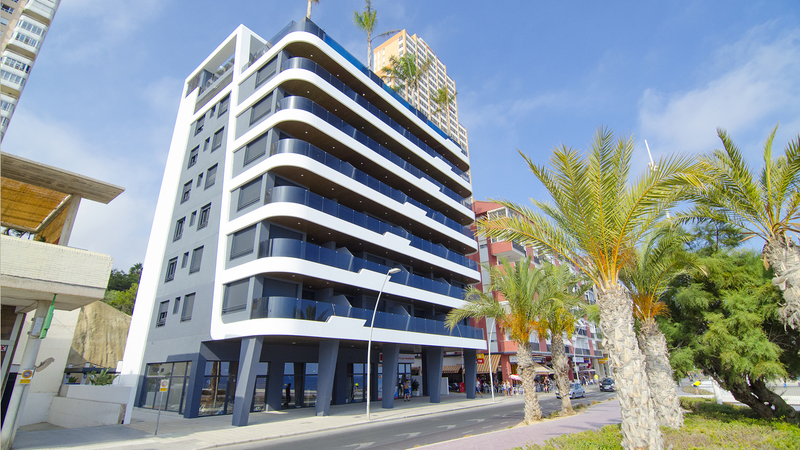 Villajoyosa offers the same climate, touristic environment and activities tan Benidorm. It has beaches to choose: Playa Paraíso, El Bol Nuevo, La Caleta, Playa Centro, Rincón del Conill, Playa del Torres, Playa Estudiantes, Playa del Varadero, Playa del Tío Roig, Playa del Esparelló, Playa del Charco y Puntes del Moro. The most typical dishes are: rice with beans, Frigate mackerel ‘Borreta’, Vilera Paella, the Pebrereta, blood with onion, boil with balls and vilera octopus. The celebration of the Villajoyosa Cooking Fair demonstrates the robustness of culinary heritage of this town. The Vila Joiosa, “the happy city”, also hosts an important chocolate industry. Brands of recognized prestige not just at a national level, but also international, are native in there. Valor chocolates, Pérez or Clavileño are some brands with Villajoyosa designation of origin. Proof of this is the City Hall, expert of this powerful industry, which implements the Vila Gastronómica Brand, consisting on different events programmed along the year for promoting restaurants in the área, fishery and of course, chocolate. In Villajoyosa there are also various activities todo and several places to visit, among them; the Teatre Auditori La Vila Joiosa, the Municipal Library, the Xalet Centella (headquarters of T.I. Vila Joiosa), the Allon Thermes, the Saint Josep Tower (officially the Hercules Tower), that is a funeral roman monument from Century II, the historical-artistic site from The Vila, in which you can visit the old centre, the Renaissance walls and the fortress church of Asunción, from the Catalan Gothic style, the Valencian chocolate museum, the Aguiló Tower, with squared floor and built in the XVI century, and the Torreta Tower, which is an orchard tower already quoted in documents from the XV century.